To most people, your smile contains a positive connotation that expresses happiness and satisfaction. Yet those who experience loss of their teeth have a negative association in concern to smiling. Without their teeth, a smile is something to avoid and dread. Many attempt to solve their problem with dentures, but dentures are often uncomfortable, troublesome and displeasing to the eye. For those that have only lost several teeth, dentures are not the best solution. A long-term solution to restore missing or damaged teeth is dental implants. Enhanced speech. As dentures are not able to fit perfectly to your mouth, they cause incoherent speech by sliding out of place. Since dental implants are fixed, it provides you to speak clearly because your implants feel and behave like your real teeth. Improved comfort. Dental implants remove the discomfort caused by removable dentures. Dentures shift and rub against the gums causing irritation and agitation of the mouth. By fixing the dental implants to the bone, there is no discomfort. Better appearance. Dental implants look and feel like real teeth. They are fixed permanently in place so that your smile is impeccable and you gain your confidence back. Long-term solution. Dental implants are built to last. With the proper treatment, dental implants may last the rest of your life. Improved dental condition. 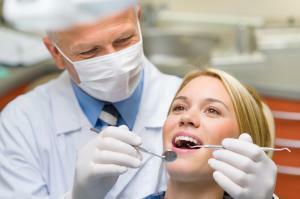 The implementation of dental implants may improve your overall oral health. For individual dental implants, the procedure leaves other teeth intact without reducing the size. This increases oral health. If dental implants are a potential solution for your dental problem, consider getting dental implants in Turkey. While remaining cost effective, the Maltepe Dental Clinic in Istanbul uses highly qualified professionals and exceptional European label implants such as Eurotechnica and ITI Straumann. With dental implants, you receive a permanent, long-term solution to restore missing teeth. Get your confidence back with the help of the Maltepe Dental Clinic. Contact us with any questions.